There is no better investment than the investment in yourself. While premium workout programming will yield the most effective results, free programming does offer benefits. The below workout programs have not been vetted by the Special Warfare Training Group, do not guarantee results and may cause injury. With over 50% of candidates showing up with injuries to Asessment, there is no substitute for effective, targeted, programming such as Sanderson Performance’s Team ST. If you don’t have the ability to pursue professional, customized programming, below are some free ideas for workouts. Utilize at your own risk. 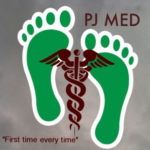 Created by a conglomerate of passionate PJ and CCT trainees, commonly referred to as “Cones”. These workouts were designed by the Conefit crew specifically for Pararescue, TAC-P and Combat Control trainees. The weekly plans are comprised of pool, strength and cardio workouts to better prepare for Assessment and Selection courses. *DISCLAIMER* Conefit are not certified strength & conditioning professionals; just a passionate crew that created workout ideas. Perform at your own risk. Click HERE to go to our Dirty Scurve page! A 26 week program designed to prepare CCT/PJ/SOWT candidates for the intense demands of Assessment and Selection. The program, created by Air Force Special Operations Command, is divided into two phases (11 and 15 weeks). The plan focuses on cardio, physical training (primarily calisthenics) and surface swimming to prepare candidates. Download the 31 page pdf HERE. The running interval provided in the document is defunct and essentially useless. Input your 1.5 mile time into the re-created INTERVAL GENERATOR (xls) to find your training split times. 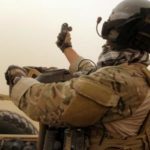 The Naval Special Warfare Physical Training Guide (PTG) is a tailored 26 week training program designed specifically to help you develop the strength and endurance to withstand the rigors of SEAL Basic Underwater Demolition/SEAL (BUD/S) or SWCC Basic Crewman Training (BCT), and the Navy SEAL or SWCC Physical Screening Test (PST). The PTG was created by the Naval Special Warfare Center and the Naval Special Warfare Preparatory School. The program largely focuses on run and swim intervals. Minimal guidance is given on calisthenic and strength training. Download the pdf HERE.